Today’s writer is being featured for the first time here and came recommended. 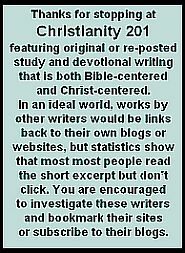 Cindy Dawson writes at Real Christian Women, with the subtitle, My Journey Unscripted. In this article she traces what I sometimes call “the chain of grace” that’s been at work in her church back 200 years. Click the title below to read this at source. The Bible says, “Whatever you do, do it all for the glory of God.” (1 Corinthians 1:31) What does it really mean? My Pastor’s sermon last Sunday made me think. He told us that two hundred years ago, a church of about 26 people in Rockfield, Ky were led by God to start a new church in Bowling Green. That church, started by four members of the Providence Knob Baptist Church, is the same church I worship in today. To put this in perspective, 1818 is the year the famous American Patriot, Paul Revere, died. In fact, Warren County was named after General Joseph Warren of the Revolutionary War, who dispatched Paul Revere on his famous midnight ride. The population of Warren County was less than 12,000 then, as compared to over 125,000 at the present time. As I worshiped, I understood that the glory and praise being lifted up to God this very day in 2018 was God’s plan all along. A magnificent choir sings praises to our Lord. A team of singers and musicians lead the congregation in worship, little children sing of Jesus’s love. An orchestra plays heavenly music in praise to the Lord. People are being saved. The Word of God is being proclaimed. God’s work is being done and God is being glorified. Did they see the fruit of their labor? Not unless they’re over 200 years old! But God was, and is, and will be, glorified in this place. It made me think about my own life. Do I want to bring glory to God only? Or do I want glory for myself? Do I want to allow God to do “immeasurably more” than all I can ask or imagine? Do I want Him to use me according to His will, even if I never see the fruit of my labor? These are heart-searching questions. May we have the courage to ask them. God’s plans are bigger than our ability to imagine. I understand now, that God’s plan for me must not be limited by my lack of vision or by selfish desires. God has the plan. Will we surrender our will to Him? Our part is to be willing. He will do the rest. This is God’s plan – To glorify His name. Romans 10 (NIV) 9 If you declare with your mouth, “Jesus is Lord,” and believe in your heart that God raised him from the dead, you will be saved. 10 For it is with your heart that you believe and are justified, and it is with your mouth that you profess your faith and are saved. The year is half over. What’s next? Ever wish you could see God’s entire plan for your life like a giant road map? Back in the day, if you were heading on a vacation trip to a place in the U.S. or Canada where you’d never been before, if you were a member of AAA (or CAA) you could request a trip guidebook. Using previously printed pages representing different highway sections, someone would assemble a series of these ‘strip maps’ into a booklet that also provided commentary on places of interest, restaurants and motels. Hard to imagine in a world of MapQuest and GPS tracking. These ‘strip maps’ are a closer representation as to how life presents itself to us. 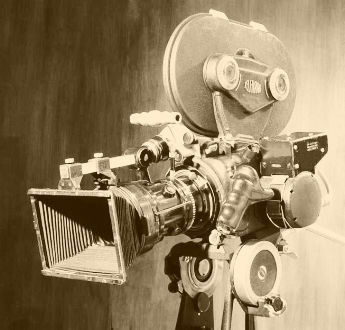 We’re given direction that is sufficient for the day, but don’t always know how the pieces of the journey are going to form an overall story. It’s not unlike walking across a stream using stepping stones, and stopping on each to determine where to put your feet next. As C.S. Lewis once suggested, to understand how God sees time, draw a line with two ends in a blank sheet of paper, then look at the entire paper. We see the line as a progression, but God sees it as a whole. We live within time, but God is eternal and separate. Another way to say this is that the difference between our perception of time and God’s might be compared to having a travel atlas where the journey across a country or a continent reveals the beginning and the end. This is the type of “big picture” that God has. Our perception would be more flipping through the strip map, getting the journey in small bite size pieces. I’m told Lewis also compares our perception and God’s perception to the difference between sitting at a level crossing waiting for a long train to pass by. Each car passes sequentially, one after the other. But miles above, as seen from an airplane, the entire train is visible from beginning to end, and as it slowly snakes its way through the mountains and valleys, seems to almost be standing still. The problem is, we want the big picture. We want to know where the story is going. But often information is supplied on a day-to-day, hour-by-hour and even minute-by-minute basis. If anyone can find a link to the Lewis/train story, or knows an equally good time analogy, feel free to add it in the comments. Romans 8 brings clarity to the issue of election. In verses 29─30 Paul wrote: “For those God foreknew he also predestined to be conformed to the likeness of his Son, that he might be the firstborn among many brothers. And those he predestined, he also called; those he called he also justified; those he justified, he also glorified. Earlier teaching in Romans 8 addresses the means of meeting God’s righteous requirements through living according to the Spirit (v 4), of being led by the Spirit to be a son (v 14), of suffering for victory over temptations (v 17), and of attaining the redemption of the body for adoption (v 23). Following these presentations, Paul addresses the intervention of the Father and the Spirit (v 26─27) which helps in bringing understanding to God’s “foreknowledge.” Clearly, God’s knowledge of a person is required before their particular need (weakness) can be addressed for the fulfilment of his plan with the destiny of glory. The psalmist sheds some light on our understanding of knowledge. The psalmist wrote: “The Lord is close to the brokenhearted and saves those who are crushed in spirit.” (Ps 34:18 NIV) And, “The sacrifices of God are a broken spirit, a broken spirit and a contrite heart, O God, you will not despise.” (Ps 51:17 NIV) It could be that knowledge of the heart is the “foreknowledge” upon which his selection is made…a heart that lacks pride but is humble and receptive to his sovereignty-a teachable or trainable heart. Both the psalmist and Jeremiah reveal that God searches the hearts of all people. “I the Lord search the heart and examine the mind, to reward a man according to his conduct, according to what his deeds deserve.” (Jer 17:10 NIV) Psalm 139 elaborates on God’s knowledge of an individual. He uses that knowledge, foreknowledge, before he intervenes in a person’s life. It is in this process that further knowledge is gained. 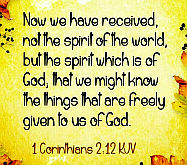 Although those to whom he has given the Spirit were chosen for it, not all will respond obediently. Jesus said, “Why do you call me, ‘Lord, Lord’ and do not do what I say?” (Lk 6:46) Some will deny the Spirit, and others will quench or thwart the Spirit but those who are obedient, those who love him, who have been called according to hs purpose God knows and they are predestined to be conformed to the likeness of his Son because he is faithful and is committed to working with them. Without obedience a person cannot fulfil the plan of God and it is through its practice that the Lord said a person would remain in his love (Jn 15:10) and would find eternal salvation. (Heb 5:9) Those who live obediently to the Spirit will be known by God and will have been predestined through his plan to be justified and glorified. These will be the elect or selected. All, except those whose hearts have been “hardened” for the achievement of a specific purpose have the same opportunity to obtain eternal salvation. The heavens declare his glory so “men are without excuse.” (Rom 1:20) “Whoever is thirsty, let him come.” (Rev 22:17) “The grace of God that brings salvation has appeared to all men.” (Titus 2:11) “God wants all men to be saved.” (1 Tim 2:4) All have opportunity to gain knowledge of him and of him and his majesty but not all will humble themselves and their pride will be their undoing. God’s practice of “election” has a purpose, as in “God’s purpose in election.” This might be easier to understand stated as, “God’s purpose through election.” That is, God elects for a reason or to accomplish his ends. He has a plan and it can only be accomplished through his handiwork and through the expression of his sovereignty. Lacking either a plan or his sovereign authority, only anarchy and chaos would result. Election must be recognized as a means by which God fulfills his plan. To the Ephesians Paul wrote: “In him we were also chosen, having been predestined according to the plan of him who works out everything in conformity with the purpose of his will.” (Eph 1:11 NIV) According to Paul, God has a plan and is working it out. Those who will have been elected will have satisfied his plan since his plan was destined to accomplish his goal. Election has two distinct applications so that “his will” might be accomplished. These might be seen from macro and micro perspectives. His hardening of Pharaoh’s heart is an example of election’s macro application. Concerning Pharaoh, the LORD said, “I raised you up for this very purpose, that I might display my power in you and that my name might be proclaimed in all the earth.’” (Rom 9:17 NIV) God’s purpose was to make a declaration for the benefit of his name and to all the earth. The selection or election of Israel as his special people is another example of a macro application. Through Jacob’s election the Lord made clear his right of sovereignty over individual lives and human traditions. The traditional approach would have been to have God’s blessing rest on Rebekah’s elder son however, the LORD clarified that God’s purpose in the election of Jacob was so that his choosing would not, and could not, be based of the “work” of humankind but by determination of the one who calls…the LORD himself. The principle being revealed is that God is in charge! Later in Romans Paul recorded: “Therefore God has mercy on whom he wants to have mercy, and he hardens whom he wants to harden,” (Rom 9:18) but this mercy and hardening of hearts is according to his purpose in or through election. Ephesians 1:4-6 is often used as support for the thought that God elected his children before the beginning of time. Paul wrote: “For he chose us in him before the creation of the world to be holy and blameless in his sight. In love he predestined us to be adopted as sons through Jesus Christ, in accordance with his pleasure and will-to the praise of his glorious grace, which he has freely given us in the One he loves.” (NIV) However these passages present several ideas and are really a presentation of God’s plan as is revealed in verse 11. “In him we were also chosen, having been predestined according to the plan of him who works out everything in conformity with the purpose of his will…” God’s plan was that those “in him” would be holy and blameless in his sight” and would “be adopted as sons.” His plan was devised before the creation of the world, specific individuals were not elected at that time. The revelation of the specifics of his plan comprises much of the New Testament. In this instance Paul was specifically addressing the “faithful,” those who were adhering to his plan. This blog post came to our attention through an interesting series of rabbit trails. It’s the last thing posted to a blog which is no longer active, Believing and Serving In Christ. I’m led then to believe that God does some things on purpose, directly because He knows people, and He knows we like to eat too. He knows we remember special occasions by the food we eat, so He gave the Children of Israel a collection of feasts to keep, each with their meaning, each occurring in their own time. The Jews celebrate Passover, and it’s that feast that I want to look at if only briefly. 43 And the Lord said to Moses and Aaron, “This is the statute of the Passover: no foreigner shall eat of it, 44 but every slave that is bought for money may eat of it after you have circumcised him. 45 No foreigner or hired worker may eat of it. … 47 All the congregation of Israel shall keep it. 48 If a stranger shall sojourn with you and would keep the Passover to the Lord, let all his males be circumcised. Then he may come near and keep it; he shall be as a native of the land. But no uncircumcised person shall eat of it. 49 There shall be one law for the native and for the stranger who sojourns among you.” Exodus 12:43-45; 47-49. God commanded the People of God to eat the meal in a certain manner. None of this is by accident. There’s nothing here done by chance or haphazardly. God has a certain way for doing this, and it’s for a certain reason. He’s wanting these people to remember the meal. He’s going to use it for something special. He’s looking down the road 1500 years to a time when this meal will be celebrated in this manner for the last time before His Son dies. We know that on the night Jesus was betrayed he was keeping the Passover meal. We also know that he gave a meal to remember him by on that night. I always try to consider what it must have been like for the disciples on that night. Like the Israelites that first night, they were probably a little confused by Jesus’ new instructions. He takes the bread, and offers it to them, calling it his body. Then he lifts a glass, and calls it the blood of the new covenant. Just like the first Passover, though, this meal also has certain rules. Just like it was with the Israelites and the Passover: The Lord’s Supper is only valid for certain people. Paul says in 1 Corinthians 11:29 “For anyone who eats and drinks without discerning the body eats and drinks judgment on himself.” Our meal is for those who recognize that this bread and cup are given to us as the body and blood of Jesus. Also, like Passover: Our meal has a time. From early in its history, the Church has gathered on the first day of the week to celebrate the Lord in this manner. We gather for the same reason the early disciples gather: to devote ourselves to the Apostle’s teachings, for fellowship, to break this bread together and for prayer. Thirdly, God has commanded us to eat this meal together in a certain manner. We’re commanded to examine ourselves, to not use this as a time for overindulgence, and to recognize the body of the Lord. There’s a lot of things about the Passover that can be studied in the Light of the identity of Jesus, and the salvation he offered to us. One thing that’s worthy of another lesson is the direct symbolism between Jesus and the Passover lamb. There’s a reason why the Passover lamb had to be unblemished. There’s a reason why we call Jesus the Lamb of God, and why his bones weren’t broken on the cross, even though the other two who were crucified with him had their legs broken. Most importantly, however, there’s a reason why [the church gathers to partake of the Lord’s Supper.] It’s to eat a meal, and think about the Last Time Jesus was here, and to also think about the time when we’ll see him in person! Today another new author: Robin Patchen lives in Edmond, Oklahoma and is the author of three books and blogs at Quid Pro Quills. Following today’s post is a link to a second part. Or you can click the link below to read this at source, and then come back here to find the link to part two. I immediately tuned out the pastor. “What was that, Lord?” Surely I’d heard him wrong. I’d first memorized those words when I was a young Christian. One of the reasons I loved it was that last line—“In all that he does, he prospers.” I’m a little embarrassed to admit that I thought of that in financial terms. Oh, I knew the verse didn’t necessarily promise me riches, but I figured my chances were much better to get rich if I followed God, and with all our financial woes at the time, prosperity sounded pretty good. Through the years, I came to understand that the tree flourished because of its deep roots—a strong connection to God. It flourished because the river flowed near it—like the living waters of Christ that fill us and bless us. So the prosperity spoken of in verse 3 has everything to do with the blessings of being connected to Christ. That Sunday in church, the Lord spoke again to my heart. “What does the tree do?” he asked. I closed my eyes and imagined a tree like the Psalmist might’ve been looking at, one standing in the arid Israeli soil, maybe even a tree in an oasis in the desert. I had to dig pretty deep to some old science lessons, but I came up with a list. There was more, though. Picture that tree in the midst of a desert, standing high above the sand. It shows people where the water is. A tree would be a welcome sight to a weary, thirsty traveler. So if I live my life the way I should (see verse 1) and delight myself in God’s word (verse 2) he will make me like this tree. And what does this flourishing tree do? *It provides shade from the world—protection from penetrating rays of judgment. *It acts as a barrier as the enemy hurls his accusations like a strong wind. *It provides shelter from the many storms of life. *It absorbs nourishment, so others can grow nearby. *It illustrates how God can convert the ugly output of our lives into blessing. *It offers a shelter to anyone who seeks it. *It feeds the hungry and, through its work, reproduces itself. *It acts as a beacon, drawing weary travelers to the life-giving water of Jesus Christ. And think about this: which of those blessings benefit the tree? None of them. God makes that tree flourish to provide his living creatures with what they need. In the same way, God blesses us so that we can love the souls he puts in our lives. He makes us to stand tall, so more of his weary children will find their way home. God doesn’t want to bless you for your sake alone. He wants to bless the world through you. Soak in God’s truth, my friends. There are travelers seeking the living water, and you may be the only tree in their desert. Christmas always seems so picture perfect in the cards we give and receive, yet Christmas can go off the rails so quickly becoming more like Christmess. What are we to do when it seems the devil has his horrid hands in our lives during this most wonderful time of the year? Perhaps your Christmas is not shaping up to be the picture perfect scene worthy of a Christmas card. Granted it is only one verse, but there it is, the birth of Jesus, Christmas in Revelation. Did you notice anything about this Christmas? Looking at the verses before and after, this first Christmas is a messy one, with the evil one lurking and looking to destroy. Are you surrounded by mess and misery this Christmas? Do not be surprised, this is normal in a Fallen world. Are you surrounded by mess and misery this Christmas? This too shall pass.
. . . and the woman fled into the wilderness, where she has a place prepared by God, so that there she can be nourished (Revelation 12:6) . . .the woman was given the two wings of the great eagle, so that she could fly from the serpent into the wilderness, to her place where she is nourished (Revelation 12:14) . . . the earth came to the help of the woman (Revelation 12:16). . .
Are you surrounded by mess and misery this Christmas? God has a plan. We ought not assume His plan does not include our own death at some point. God’s plans go way bigger than that. 31 What then are we to say about these things? 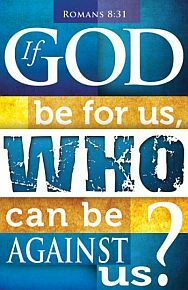 If God is for us, who is against us? 32 He who did not withhold his own Son, but gave him up for all of us, will he not with him also give us everything else? 33 Who will bring any charge against God’s elect? It is God who justifies. 34 Who is to condemn? It is Christ Jesus, who died, yes, who was raised, who is at the right hand of God, who indeed intercedes for us. 35 Who will separate us from the love of Christ? Will hardship, or distress, or persecution, or famine, or nakedness, or peril, or sword? Are you surrounded by mess and misery this Christmas? There is good news of great joy, for God has made possible a rescue from the greatest misery possible, eternal separation from God. In Jesus we have eternal life ahead with no dragons. When the Christmas train goes off the rails, when it seems Satan has his evil hands all over your life, look at the big picture and remember that the final destination is Christ and His arms of love. Need a hug this Christmas? You are already in His embrace. This week I paid a return visit to What’s Best Next, the blog of Matt Perman, only to discover that since I was last there, Zondervan has released the book, What’s Best Next: How the Gospel Transforms the Way You Get Things Done. The following is adapted from the book and can also be read at source by clicking the title below. What Does God Want Done? Good works. What God wants done are good works. That is the purpose of the Christian life summed up for us in one sentence. The entire purpose of our lives—what God wants from us—is to do good for others, to the glory of God. Hence, good works are part of the purpose of our salvation. In one sense we have been doubly created for good works. God created us to do good works, as we see in the creation mandate in Genesis, and here we see that we are also re-created in Christ to do good works. Productive things, then, are things that do good. Productivity always has to be understood in relation to a goal, and God’s goal is that we do good works. Hence, we can define productivity in this way: to be productive is to be fruitful in good works. Adapted from What’s Best Next: How the Gospel Transforms the Way You Get Things Done. Today’s song is by Keith Green and was suggested by the devotional reading. If you wanted to just stop there and read this passage just one more time (out loud is even better) that’s fine, otherwise here are some supplementary notes on this passage. First, the same power that raised Jesus from the dead is at work in believers (2:4, 5; 3:16, 17). Second, Christ enjoys His position as head over everything for the sake of the church. Not only is Christ at the most exalted position in the universe, He is there representing believers (2:6; Col. 3:3) and governing the universe for their sake. The principles of conduct in Ephesians emphasize that authority exists for the sake of service. In 1 Corinthians and Romans the phrase indicates the local church, and emphasizes the unity of its members and their harmonious working together according to the varying functions God has assigned by His Spirit to each (Rom 12:4-8; 1 Cor 12:4-31). Paul does not think of Christ as head of the body in these epistles (1 Cor 12:21). In Paul’s later letters, Ephesians and Colossians, reference is to the universal Church, of which Christ is the head (Eph 1:22, 23; 4:15, 16; 5:23; Col 1:18; 2:19). Each member is related to Christ as the directing, controlling center. 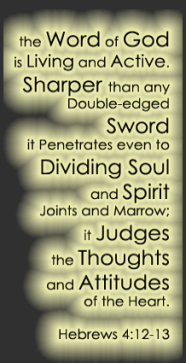 The unity emphasized in Ephesians is that of Jew and Gentile in the one body (Eph 2:11-16; 3:6; 4:4) while in Colossians the unity of the whole cosmos under Christ’s headship is in view (Col 1:16-19; 2:10). The origin of Paul’s thought of the Church as the body of Christ has been sought in four fields: (1) the communal participation in the communion bread, as suggested by 1 Corinthians 10:16, 17; (2) the Stoic description of an ecclesia, a public meeting, as a united body composed of different independent persons; (3) the meaning of the “corporate personality” of Israel in the OT, as in the figure of the vine (Ps 80:8); (4) the close identification of Christ with Christians, as for example in their sufferings (Acts 9:4, 5; Col 1:24). Some regard the phrase as indicating that the Church is the extension of the incarnation, but it is better understood metaphorically, signifying the unity of believers in the Church, a unity which depends upon Christ. Vv. 20b-22a are creedal in regard to the present role of the risen Son, although they also demonstrate the scope of divine power. Not only did the Father raise the Son from death, but he made him co-regent, with authority far above all [human] rule and authority, power and dominion, and every title that can be given on earth. Jesus has authority and dominion both now and in the age to come. Furthermore, God gave Jesus supremacy over all creation (cf. 1Co 15:28) and gave him to the church, his body, as its supreme Head. Here, then, is the new community, the called-out ones (ekklesia), from both Judaism and paganism that now constitute the church. By divine power and appointment Christ now presides over the church the fullness [or complement] of him who fills everything and provides all spiritual vitality. The fulfillment of the Father’s purpose for the Son is his lordship over the church. Jesus, who fills the whole universe with his presence and governs the entire creation with his given authority, finds his completion as Head of the body, the church. A head without a body is incomplete. As the body renders the head complete, so the church fulfills God’s purpose for Christ. If there are any passages you would like to see covered here, feel free to write. Philippians 1:6 develops the theme of God’s preserving grace—which ensures the perseverance of His own—in three points. First, Paul reminds us that since God has begun our salvation, we can rely on Him to complete it: “he who began a good work in you will bring it to completion.” God always finishes what He starts, especially the salvation of His people. It is in this way that God’s preserving grace fits with the other doctrines of grace. God the Father chose us in eternity past, and the Bible says that God’s purpose in election must prevail (Rom. 9:11). God the Son offered an atoning sacrifice for these same elect people. Should they fall into condemnation, then His blood would have been shed for them in vain. But He insists that not one of them shall perish and none shall be plucked from His hand (John 10:28). Likewise, the Holy Spirit brought these same elect sheep to eternal life by the irresistible working of His grace. Should eternal life be lost, the Spirit’s work would prove ineffective. Therefore, as faith is the gift of God’s grace, the Christian’s perseverance is the work of God’s continuing grace. God does not merely initiate the work and then leave it, he continues with it; he leads us on, directing and manipulating our circumstances, restraining us at one time and urging us on at another. Paul’s whole conception of the Church is that it is a place where God is working in the hearts of men and women. God’s work is manifested in His will playing out in our lives. This is what Paul says a bit later in Philippians: “Work out your own salvation with fear and trembling, for it is God who works in you, both to will and to work for his good pleasure” (Phil. 2:1–213). Being a Christian is not easy. Persevering in faith requires warfare with sin, labor in prayer, plowing in God’s Word, and performing His will in the world. We are God’s workmanship, Paul says, and this means we are called to “good works, which God prepared beforehand, that we should walk in them” (Eph. 2:10). God will see to it that His work for each of us is carried to completion. By His preserving grace, He will carry us to our destination in heaven. We are called to work this out, but, Paul insists, God is all the while working it in us (Phil. 2:13). Third, we can see in Philippians 1:6 our certainty of successful “completion” if God’s saving work truly has begun in us. Far from dreading the future, as we must if we look for signs of hope within ourselves, every believer possesses a hope that is certain for the most joyful, glorious, and holy destiny through faith in Jesus. This may be a fanciful rendering from the Bible’s promises, but still it is our future history and not fantasy. For as Paul insists, God brings us to completion. One of the meanings of the Greek word translated as “bring to completion” is “bring to perfection.” That is what God has promised to do for every sheep who hears Christ’s voice and who shows the reality of his or her faith by following after Him through life. Whatever hardships, disappointments, or failures await us in this world, a Christian can anticipate the certain fulfillment of David’s exultant words in Psalm 16:11: “You make known to me the path of life; in your presence there is fullness of joy; at your right hand are pleasures forevermore.” Terribly flawed though we all are now, God will bring our journey to completion and us to perfection, so that arrayed in perfect holiness we will live forever in His love. This week we got to hear author Mark Buchanan, and he shed some light on a particular scripture verse I had previously rushed through. David’s good-for-nothing son Absalom had brought about the murder of one of his brothers, and had fled the country. His father weakly loved the brilliant blackguard, and would fain have had him back, but was restrained by a sense of kingly duty. Joab, the astute Commander-in-chief, a devoted friend of David, saw how the land lay, and formed a plan to give the king an excuse for doing what he wished to do. So he got hold of a person who is called ‘a wise woman’ from the country, dressed her as a mourner, and sent her with an ingeniously made-up story of how she was a widow with two sons, one of whom had killed the other, and of how the relatives insisted on their right of avenging blood, and demanded the surrender of the murderer; by which, as she pathetically said, ‘the coal’ that was left her would be ‘quenched.’ The king’s sympathy was quickly roused-as was natural in so impulsive and poetic a nature-and he pledged his word, and finally his oath, that the offender should be safe. So the woman has him in a trap, having induced him to waive justice and to absolve the guilty by an arbitrary act. Then she turns upon him with an application to his own case, and bids him free himself from the guilt of double measures and inconsistency by doing with his banished son the same thing-viz. abrogating law and bringing back the offender. In our text she urges still higher considerations-viz. those of God’s way of treating criminals against His law, of whom she says that He spares their lives, and devises means-or, as the words might perhaps be rendered, ‘plans plannings’-by which He may bring them back. She would imply that human power and sovereignty are then noblest and likest God’s when they remit penalties and restore wanderers. Mark Buchanan pointed out that verse 14 is richer, that the woman breaks into a commentary here on the purpose of God for mankind. Outside the realm of Bible commentary, someone might say that verse 14 is more philosophical. First, The patience he exercises towards them. His law is broken, yet he does not immediately take away the life of those that break it, does not strike sinners dead, as justly he might, in the act of sin, but bears with them, and waits to be gracious. God’s vengeance had suffered Absalom to live; why then should not David’s justice suffer him? Secondly, The provision he has made for their restoration to his favor, that though by sin they have banished themselves from him, yet they might not be expelled, or cast off, for ever. Atonement might be made for sinners by sacrifice. Lepers, and others ceremonially unclean, were banished, but provision was made for their cleansing, that, though for a time excluded, they might not be finally expelled. The state of sinners is a state of banishment from God. Poor banished sinners are likely to be for ever expelled from God if some course be not taken to prevent it. It is against the mind of God that they should be so, for he is not willing that any should perish. Infinite wisdom has devised proper means to prevent it; so that it is the sinners’ own fault if they be cast off. This instance of God’s good-will toward us all should incline us to be merciful and compassionate one towards another, Matt. 18:32, 33. *Here, I think The Voice may go beyond what the other versions are saying; it might be thought to presuppose universalism; whereas the NIV and GW speaks of God’s ideal intention, and Peterson and the NLT seem to leave it open to us to respond, which was also in keeping with Buchanan’s sermon about saying ‘yes’ to God.